The audience are transported right back into the dark uncertain days of London during the Blitz. Pathé newsreels describe the devastation and also the war time spirit and optimism in the face of adversity, of those living through the bombardment by the Nazis. Prokofiev’s famous ballet score (composed in the 1940s), is interspersed with the sounds of Luftwaffe bombers, exploding shells and anti-aircraft fire. 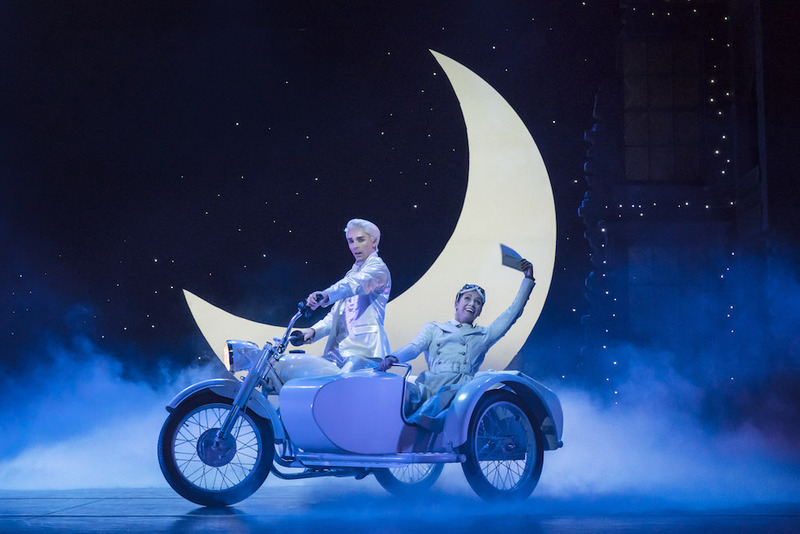 The use of surround sound and dramatic lighting and effects are integral to the success of this production. In Bourne’s hands, the prince of the fairy tale becomes a glamourous yet traumatised RAF pilot (Dominic North). 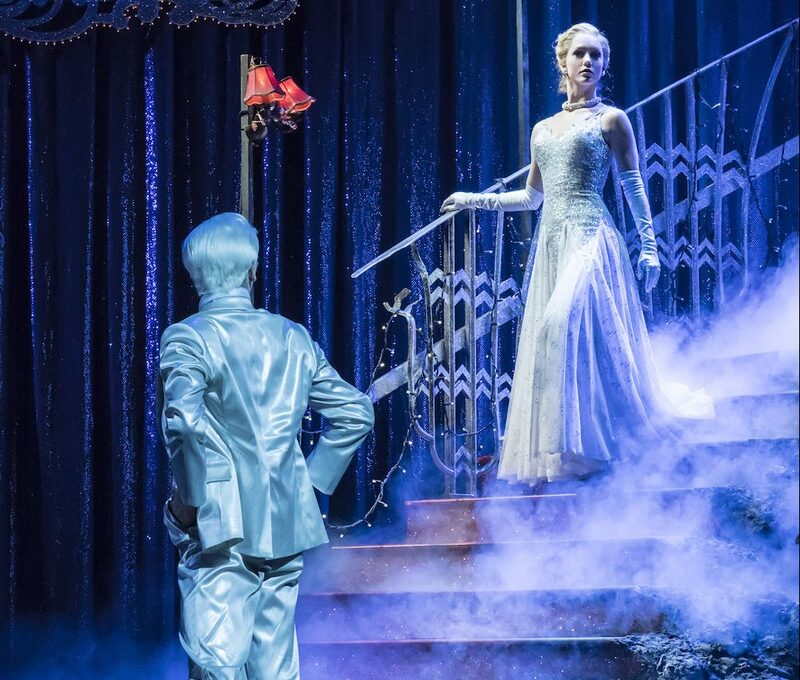 Ashley Shaw is the put-upon Cinderella, enchanting yet with a deft comic touch. Her ghastly, cruel stepmother, Sybil (Madelaine Brennan) brings a sprinkling of Hollywood glamour and the attitude of Joan Crawford. 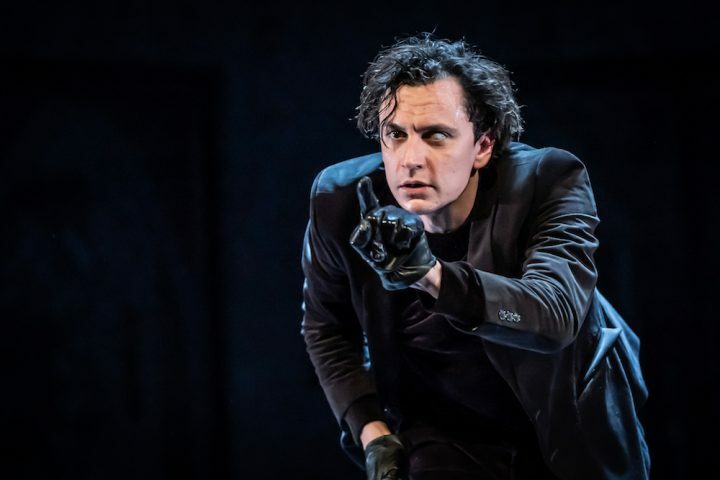 The mysterious Angel (Liam Mower) is Cinderella’s ‘fairy godmother’ but also, more chillingly, the Angel of Death. Throughput the production Bourne plays homage to films like Brief Encounter, romantic stories of doomed lovers caught up in the uncertain desperate days and nights of the Blitz. This Cinderella lives in a world at war and is portrayed as a passionate woman and lover. The storyline keeps you engaged as more iconic and memorable landmarks of London are used as backdrops to the unfolding story. As in the fairy tale, Cinderella longs to go to the ball, in this case, the famous and actual Café de Paris nightclub in London’s Soho, which was hit by two bombs in March 1941, bringing home the reality of the London bombings. 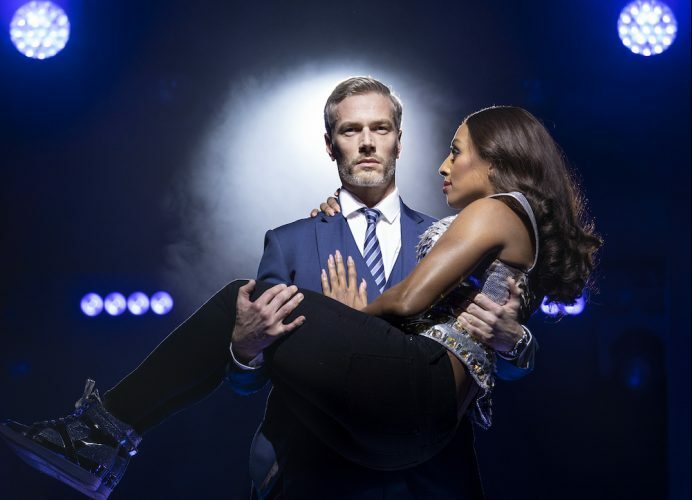 As ever, with Bourne’s productions, the choreography is clever, elaborate, exhilarating but the show won’t just appeal to dance fans: it’s gripping, romantic drama. 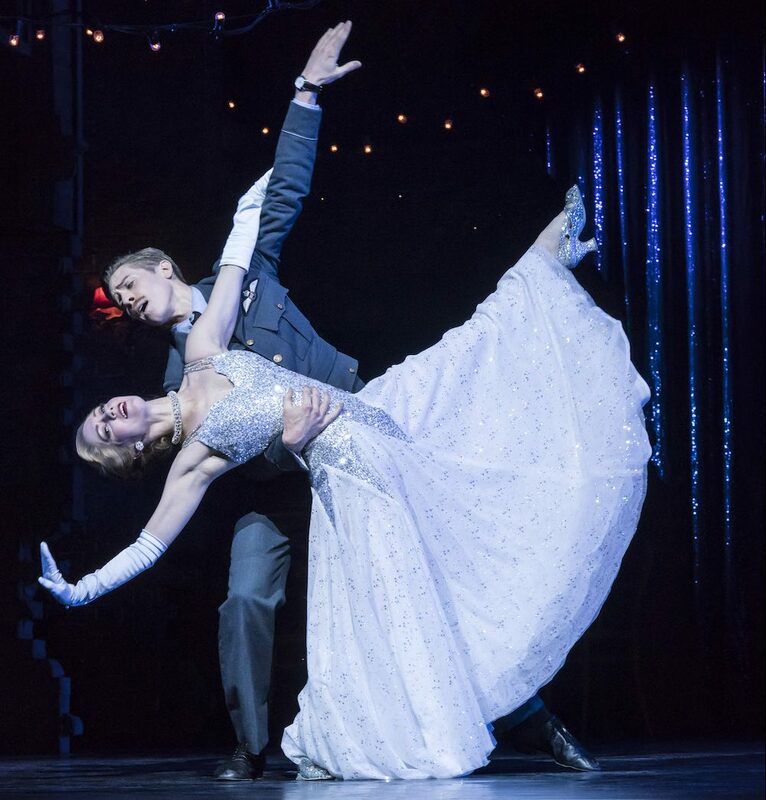 Matthew Bourne’s Cinderella, Bristol Hippodrome, until Sat 24 March.